Lori Crane | award-winning author. musician. cute shoes. I admit I fought it with every ounce of my being. I love the smell, the feel, of a real book with real pages – the older, the better. Over the last couple years, I’ve discovered the simplicity of purchasing ebooks, especially with Kindle right on my iPhone, and though it goes against my gut, I have to admit, I haven’t bought a real book in about five years. All that being said, it’s Read an Ebook Week at Smashwords!! If you’re not familiar with Smashwords, they are a major distributor of ebooks for indie authors. They distribute to Amazon, Barnes & Noble, Sony, Kobo, iTunes, etc., so when you purchase an ebook directly from them, you can download it in any format you choose. Yes! When you buy an ebook from Smashwords, you have your choice of formats. You can download it to your Kindle, your Nook, your Sony E-Reader, and even as a PDF for your tablet or your desktop. Well, it doesn’t get much better than that. Oh, wait! It does get better!! This week, March 3-9, Smashwords is hosting Read an Ebook Week, and there are tons and tons of books on sale, and some are even free. If you’re confused about which books to buy or where to start, here is the bibliography. Okatibbee Creek – A woman who has lost nearly everything during the Civil War finds a way to rebuild her shattered life. An Orphan’s Heart – Set in the late 1800s, a young woman travels the South to find her place in the world. Elly Hays – Set in the early 1800s, a young mother finds herself in a war with a Creek Indian warrior. He doesn’t have much to lose, but she has everything to lose. The Legend of Stuckey’s Bridge – A late 1800s serial killer you can’t help but love. Stuckey’s Legacy: The Legend Continues – A character from the first book tries to live in the world of the rich. Turns out he’s a better killer than his predecessor. Stuckey’s Gold: The Curse of Lake Juzan – The origin and completion of the Stuckey curse with characters from the first two books. This is the end. Or is it? I, John Culpepper – John Culpeper sets out to find himself in this 1600s coming-of-age tale. John Culpepper the Merchant – England is in Civil War, and John Culpepper finds himself on the wrong side. He must escape before his entire family is beheaded. John Culpepper, Esquire – John Culpepper sets up a new life in the American Colonies, which is not without its struggles, and a major tragedy puts him in the position of family patriarch, trying to hold his family together on two continents. Culpepper’s Rebellion – John Culpepper finds himself in the middle of two colonial rebellions: Bacon’s rebellion in Virginia and Culpepper’s rebellion in North Carolina. The latter is headed by his own son, who will surely pay the ultimate price for his sins against the crown, unless John can save him. Savannah’s Bluebird – A tragic love story that transcends the boundaries of this world. Witch Dance – A family weekend getaway turns into a nightmare for a young family and pulls them into a vortex of tragedy and witchcraft. Hop over to Smashwords and take advantage of this awesome sale! Robert Theodore Pickett (my 3rd great) was born on this day in 1836. He was descended from John Pickett who arrive in Salem, Massachusetts from Kent, England in 1648 (source citation: FARMER, JOHN. A Genealogical Register of the First Settlers of New-England: Salem, Massachusetts; Year: 1648; Page number 227). Over the next few generations, they migrated southward from Massachusetts, through Virginia and North Carolina, eventually ending up in Alabama for this part of the story, then on to Mississippi. Robert Theodore was born in Alabama on 2 Feb 1836 to Daniel L Pickett and Amelia Ferrill. He was the last of four children, because his mother died shortly after his birth. At that time in history, I would suspect she died due to complications of childbirth, but I have no proof. His father re-married in 1838 – a woman named Harriet Elizabeth Wilson. Daniel and Harriet had one child, and following Daniel’s death in 1851, Harriet married Miles Linton and had six more children. Robert Theodore was 15 at the time of his father’s death. At age 24 Robert Theodore married Lucy Ann Rackley in Choctaw, Alabama, and the family remained there through the 1880 census. Lucy descended from David Edward Rackley who came to Virginia from Devon, England sometime between 1663 and 1679. Over the next few generations, they too migrated southward. (Source: Hargreaves-Mawdsley R Bristol and America; A Record of the First Settlers in the Colonies of North America; Place: Virginia; Year: 1663-1679; Page Number: 165). All of Robert Theodore and Lucy Ann’s children were born in Alabama, but at some point, the entire family moved to Mississippi. If you don’t know, the 1890 census was burned up in a fire, so it is not available to us to research and hunt for clues. I know the family was in Mississippi by 1891, when the youngest daughter was married there. All except the youngest son are buried at Pleasant Hill Cemetery, Zero, Lauderdale County, MS. The youngest son died in Sicily Island, Louisiana and I do not know where he was buried, but he is not at Pleasant Hill with the rest of the family. There’s some fun family name changing between local Lauderdale County families: the Picketts, the Fishers, the Colemans, and the Keenes. The Pickett children were: Sarah Elizabeth “Sally,” Margaret Madelene “Maggie,” Amelia Elizabeth “Betty,” Annie Mariah, Joseph Lawson (my 2nd great), Lloyd Daniel, Joshua H., Nathan Brightling, and Rev. Robert Tilden. Pickett sister and brother married Fisher sister and brother: Annie Mariah married James Henry Fisher. Joseph Lawson (my 2nd great) married Caledonia “Callie” Fisher (my 2nd great), James’s sister. Pickett brothers married Coleman sisters: Two of the boys, Joshua H and Nathan Brightling, married Coleman girls, Mary Ella and Johnnie Hobgood. Annie Pickett married Earnest Grady Keene. Earnest’s sister was Eula Keene (my great grandmother), who married Ben Pickett (my great grandpa, Annie Pickett’s cousin), son of the above Joseph Lawson Pickett and Callie Fisher. I think that makes me my own cousin, and somehow, I think the Fishers win. Rest in peace Robert Theodore and Lucy Ann. You have not been forgotten. If you’re looking for something creepy to listen to around your October campfire, try my newest audiobooks. And don’t miss Old Man Stuckey and yours truly on the Travel Channel’s “Most Terrifying Places in America” the whole month of October. 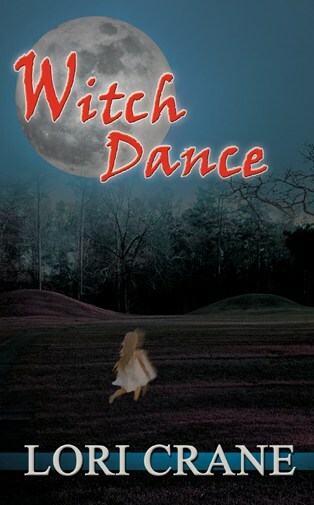 The next is my newest book “Witch Dance,” narrated by Sarah L. Colton. Her voice is pretty sweet, but the story? Not so much. Watch out for the evil witches! 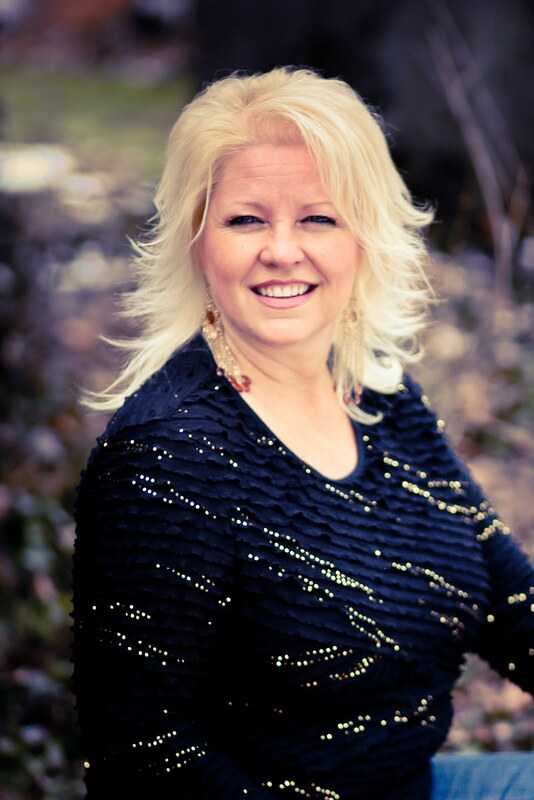 Lori Crane is a bestselling author of historical fiction and the occasional thriller. Her books have climbed to the Kindle Top 100 lists many times, including “Elly Hays” which debuted at #1 in Native American stories. She has also enjoyed a place among her peers in the Top 100 historical fiction authors on Amazon, climbing to #23. She resides in greater Nashville and is a professional musician by night – an indie author by day. Stuckey’s Bridge and yours truly will be on “Most Terrifying Places in America” on the Travel Channel on the dates and times below. Mark your calendar. Tell your friends. I’m so excited!! I think the history of Stuckey’s Bridge is very compelling. Enough so, that I wrote a book about it. I’m glad the Travel Channel called me to do the show, as it means someone love the legend as much as I. Strangely enough, I seem to be the resident expert. Check out my brand-spankin’-new audiobook of The Legend of Stuckey’s Bridge, narrated by the amazing J. Rodney Turner. I’m sooooo very pleased with it!! Today ends the Goodreads-hosted giveaway of my coming book, WITCH DANCE, and I want to take a moment to extend a big, huge thank you to Goodreads! If anyone knows how to do a successful giveaway with no sweat equity from an author, it’s Goodreads. Goodreads was launched in 2007, and in the first year, it gained 650k members and 10 million books. By 2012, they had grown to 10 million members! By 2013, they had doubled to 20 million, at which point Amazon gobbled them up. They have about 50 million visitors per month now. Wow! I’m sure some would say the acquisition by Amazon is both good and bad, though I don’t see much bad except that someday we’ll all be owned by the giant that is Amazon. Anyway, back to the giveaway. For a very reasonable fee ($119), Goodreads hosts giveaways for authors. They run the entire promotion and distribute the Kindles to the readers (included in the $119). Well, that’s a whole week’s worth of work I don’t have to do, and up to 100 Kindle copies out there in the world that can’t be pirated like they could if I simply emailed them out myself. The best part is when a reader enters your giveaway, your book automatically goes on their “want to read” list for their friends to see. The next best part is eight weeks after the giveaway, Goodreads emails the winners and reminds them to leave a review. I guess that’s the least a reader can do for a free book. Now, we just cross our fingers, hoping for good reviews. If you’re an author with a Kindle book available on Amazon, run over to Goodreads and check out their giveaway promotions. Seems awesome to me! Click HERE!